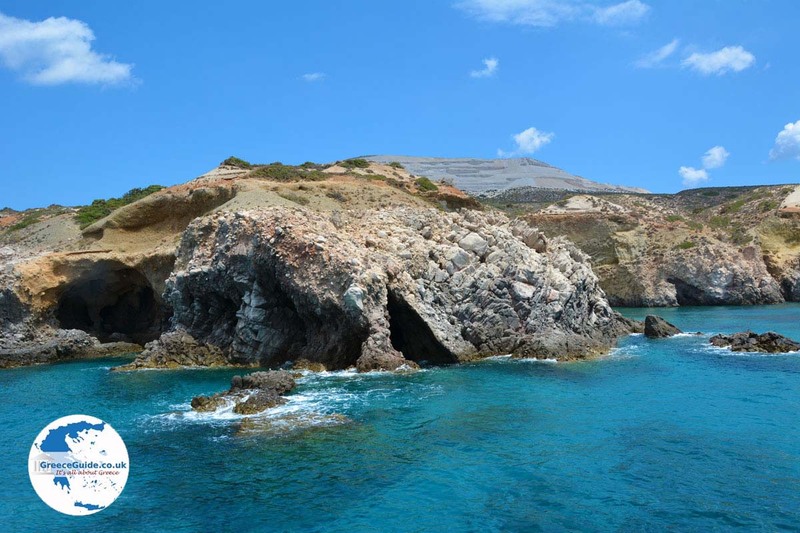 Tsigrado. 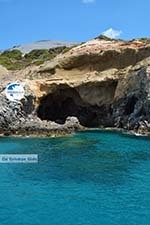 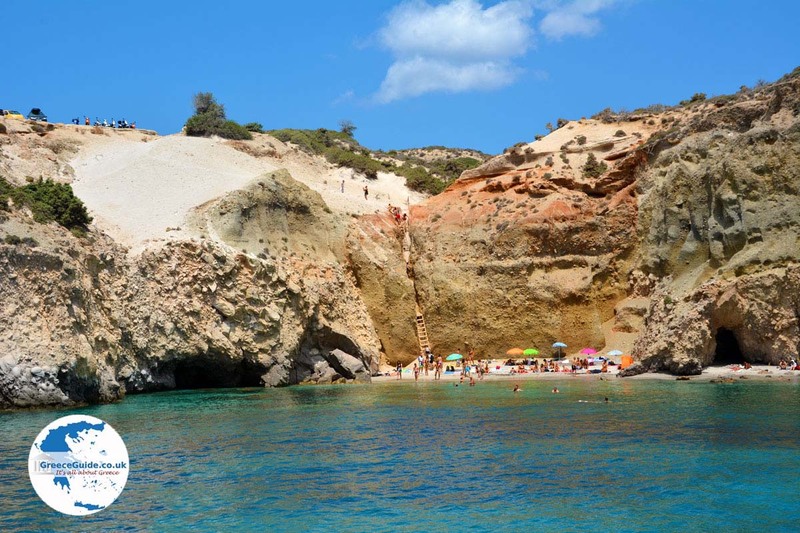 Tsigrado is a distant beach in the south of the island of Milos. 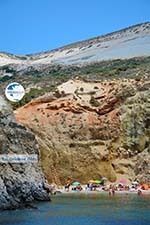 The small white, sandy beach is visited by many tourists during summer, because it is an adventure to get there with a reward of a beautiful turquoise sea. 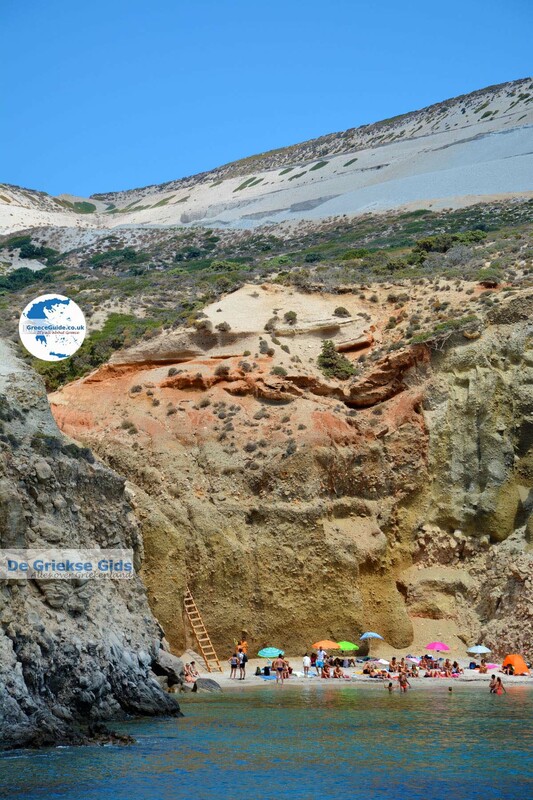 To get to the beach, you first have to take a dirt road. 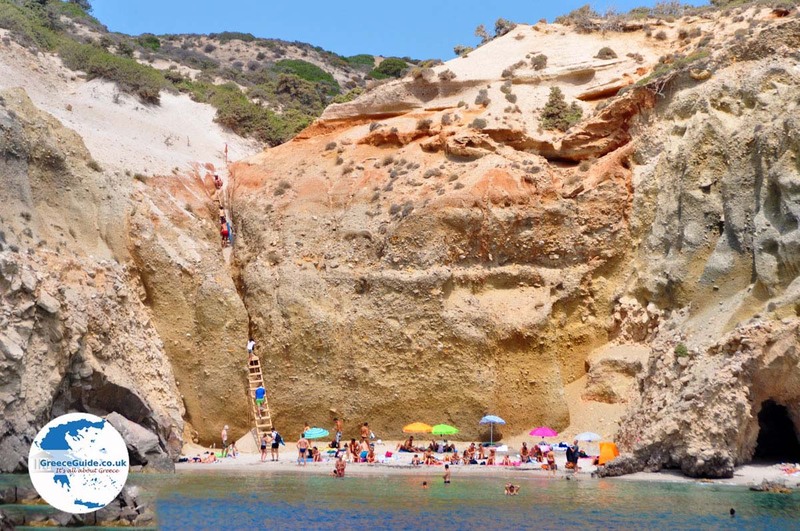 Then you park your car or motorbike at a higher point to make your way down to the beach. 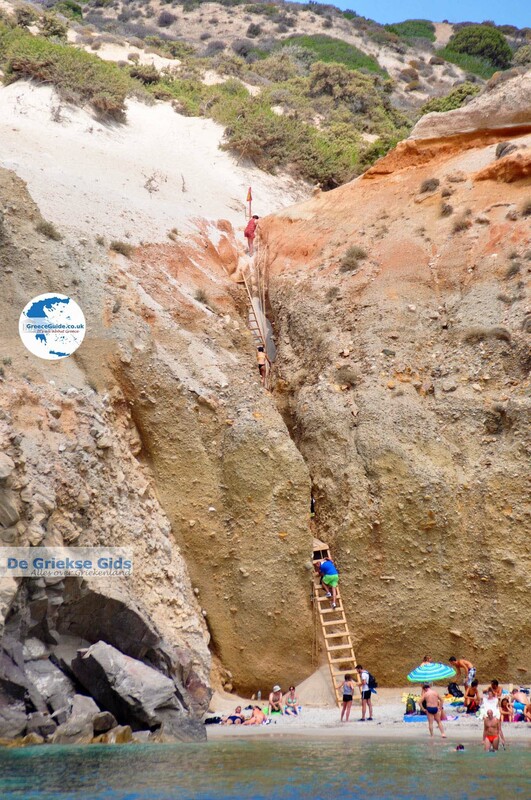 On foot you must first climb between two rocks, then navigate down two wooden ladders and finally descend via a rope! 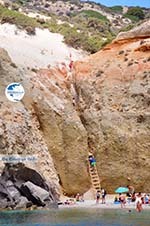 Most people prefer to avoid this risky descent (and later the ascent), and so they arrive by boat. 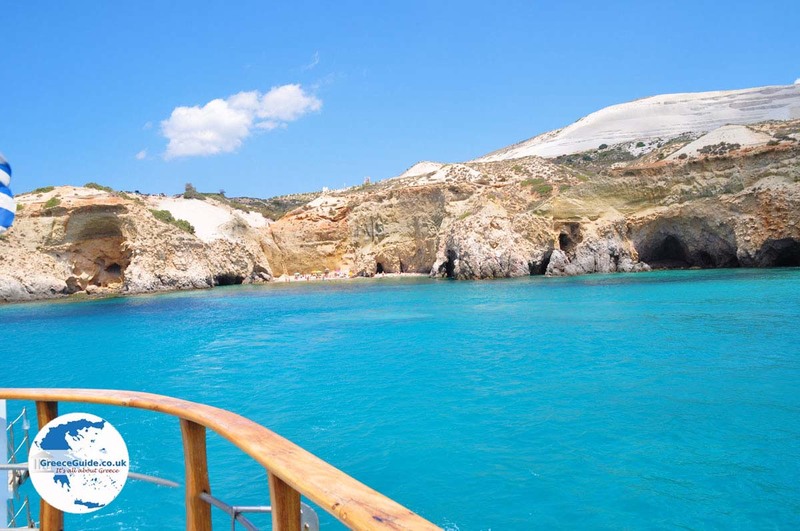 There are daily excursion boats to the beach. 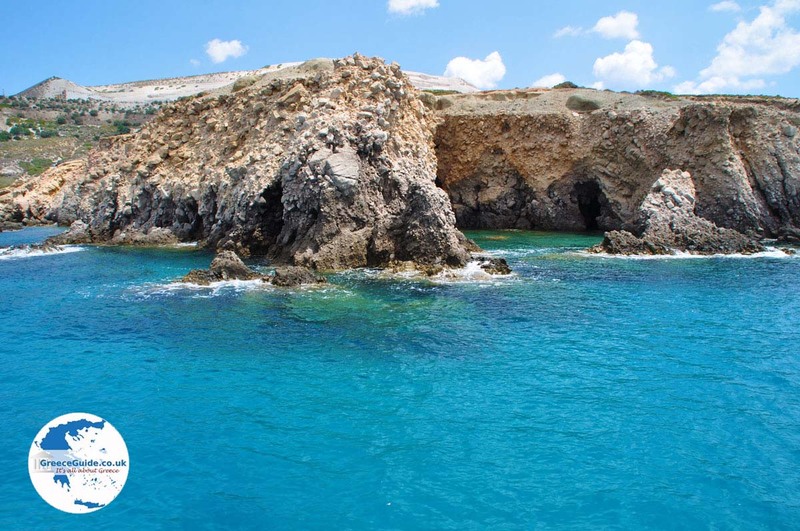 Other beaches near Tsigrado are Fyriplaka and Gerakas. 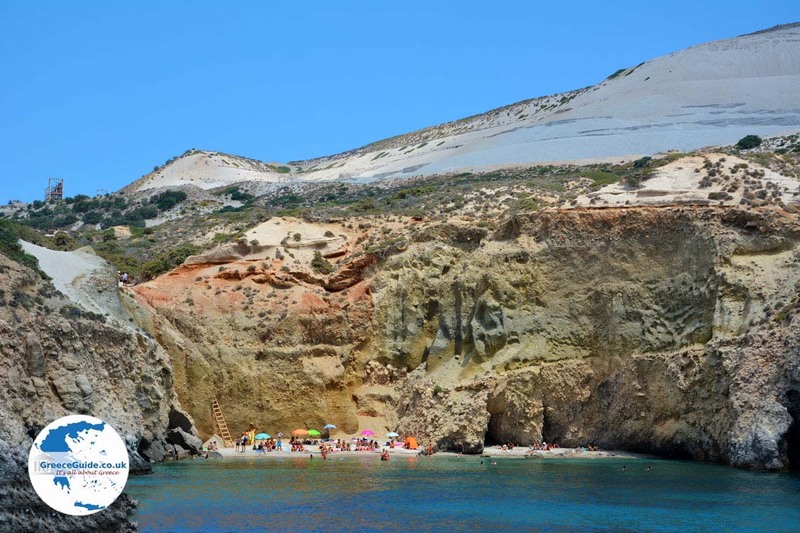 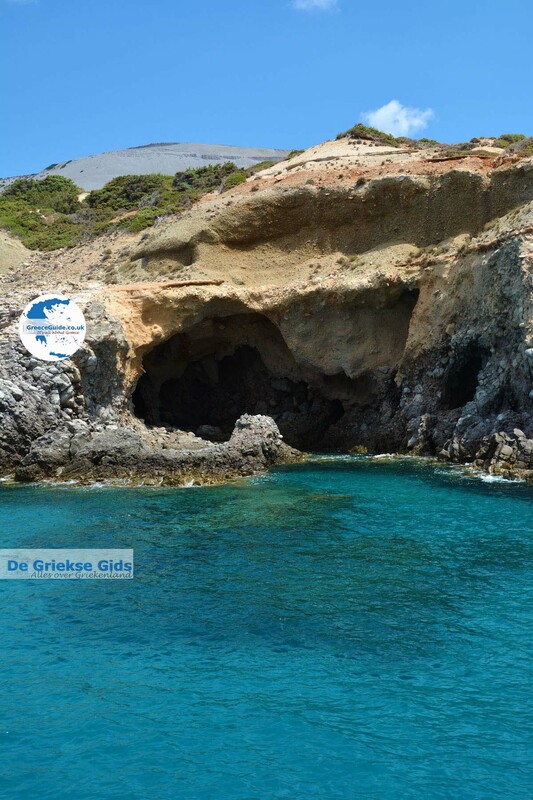 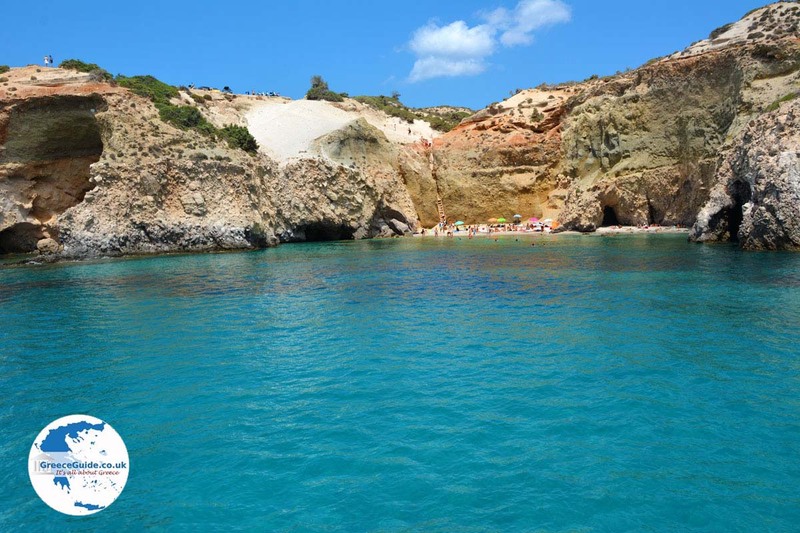 Tsigrado is located about 14 kilometers (9 mi) south of the capital of Milos, Adamas. 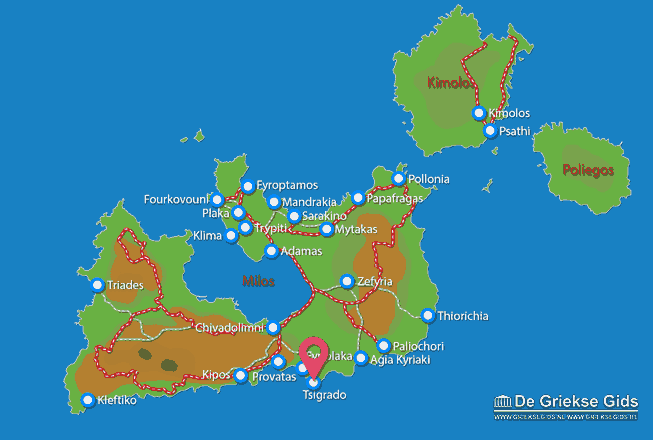 Milos: Where on the map is Tsigrado located?